Schoolteachers interested in the electric industry have the opportunity next summer to learn more about energy, how it is generated and how it is supplied to all of us who use it. 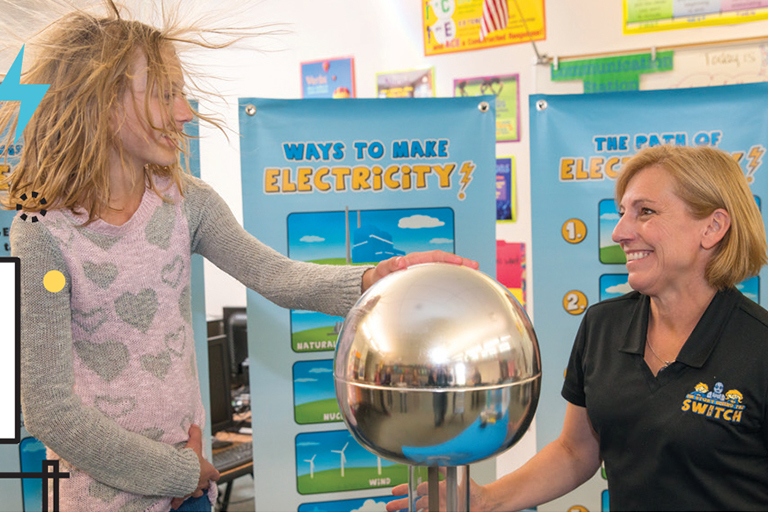 Tri-State Generation and Transmission Association, the power supplier to 18 of Colorado’s 22 electric co-ops, will bring together educators who teach grades 4-12 for a three-day learning session in Westminster June 18-20. Thanks to the support of Tri-State’s member cooperatives, there is no cost to educators in the Tri-State service area who participate. Most expenses, including lodging, meals, transportation and conference materials, are provided. The program is sponsored in cooperation with the National Energy Education Development Project, which works with the education community to promote an energy-conscious and educated society by helping deliver multi-sided energy education programs. For more information or to apply, contact Wendi Moss at the NEED Project, wmoss@need.org, or Michelle Pastor at mpastor@tristategt.org.